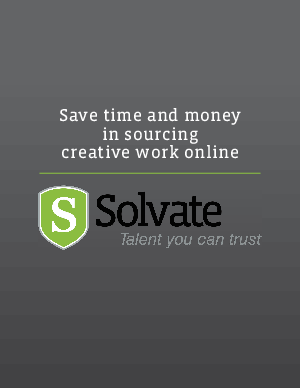 > Solvate > Need Creative Talent Now? Creative teams are finding themselves understaffed and overwhelmed: too much work, too many deadlines, everything is a top priority, and not enough people to handle the workload. Many companies do not want to commit to hiring full-time staff at a time of uncertainty. One solution is source creative work by hiring on-demand talent online! Learn about the solutions that are best for you, and the ones to avoid.